Henry L. Twine (1923 -1994) and Katherine "Kat" Twine (1925 - 2002) were both born in Tallahassee, Florida and came to St. Augustine at an early age. Mr. Twine grew up in North City, near the Fountain of Youth , where his grandfather, Henry Proctor, owned a row of houses on Gault Street. Mrs. Twine grew up in West Augustine, near St. Luke A.M.E. Church. They both attended Excelsior High School in Lincolnville. Mr. Twine served in World War II, worked for the St. Augustine RECORD Newspaper and became a career postman. Mrs. Twine was a nurse at Flagler Hospital. They began their married life in a small house at 169 Gault Street, then in the 1950"s built a home at what is now 163 Twine St. The Twines" hearts beat with the freedom movement of the 1960"s. Hosea Williams of the Southern Christian Leadership Conference stayed at their home in 1964, after Mr. Twine had worked with others to persuade Martin Luther King, Jr. to take an interest in St. Augustine. As an historian, I will always be grateful for the many stories the Twines shared with me about the movement. I consider them my great teachers. Mrs. Twine said she used to keep a bag packed by the door for when they came to arrest her. She showed me her famous "Freedom Hat"  a broad-brimmed hat with the inscription, "Freedom Now" that she wore when she took part in the demonstrations, because when large numbers of people were arrested, they would overflow from the jail into the unshaded outdoor stockade under the brutal summer sun. The broad brim of the hat would provide her a little personal shade in that situation. I remember going by her house once with a group of students from R. B. Hunt Elementary School. She showed them the hat and told them the story behind it. They were so inspired that they went back to school and drew pictures of Kat Twine and her Freedom Hat that were exhibited in the lobby of a local bank. She remembered one time being in the dental office at 79 Bridge St. with Dr. Hayling and Dr. Martin Luther King when Buddy Hough, the owner of a local tourist attraction came in with a gun." "I came here today to kill you, Dr. King. ", he said "But, when I look at you, I can"t do it, because I see that you are a God-sent man." I told that story once when giving a tour of Lincolnville, and afterwards a woman on the tour came up and said, "I was the nurse for Mr. Hough in his last days, and he told me that same story". Chills went down my spine. Mr. Twine told me about the day he thought would be his last on earth. It was his 41st birthday, July 13, 1964. The Civil Rights Act had been signed into law a few days before, but now people had to go around "testing" it  to see if it would actually be observed. He went with a New York lawyer named Robert Preiskel to test the Palms Motel (now Howard Johnson"s Express) at 137 San Marco Avenue. The manager of the motel, William Chew was the head of the local White Citizens Council, a virulent segregationist group They were refused service. Mr. Twine said that his life was saved that day because he didn"t have air conditioning in his car  so he had left the windows open. As he walked back to the car, a group of white toughs jumped him and began beating him with metal bars. Twine stuck his head back in the car through the open window and locked his arms through the steering wheel so they could not pull him back out. His head was thus protected from the worst of the blows  otherwise he surely would have been killed. Then, he said, almost miraculously, a television crew appeared and started filming. The toughs who were beating him began to back off and finally scattered. Though battered and bloody, Twine survived. The quest for equality did not end with the Twines in 1964. They both continued as long as they lived to keep faith with the movement. 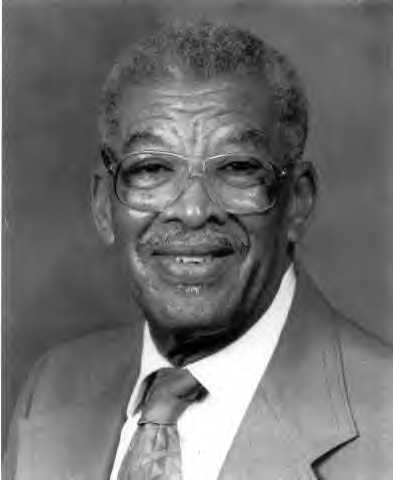 Mr. Twine was president of the NAACP, served a decade on the City Commission, and became the first Black Vice-Mayor of St. Augustine. He was relentless in promoting the civil rights legacy, black history, and Lincolnville during his years in office. The day he was felled by a stroke, he was scheduled to attend a meeting to plan the first archaeological dig at the last slave cabin in St. Augustine. He truly died with his boots on. Mrs. Twine, who had once been so familiar with the county jail, lived long enough to see the street where they lived renamed in their honor  with Henry and Katherine Twine Park just around the corner. 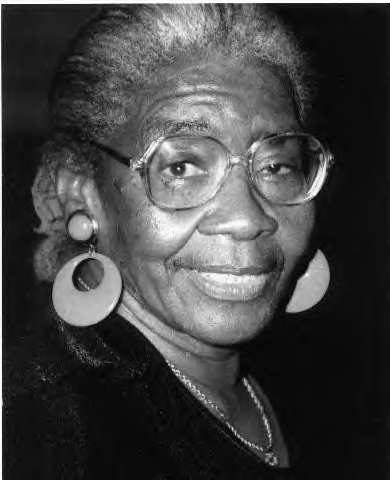 In her last year she took part in a ceremony declaring Henry Twine a "Great Floridian" and she was awarded the prestigious "de Aviles Award" by the City of St. Augustine. The flag at City Hall flew at half staff in her honor to mark the day of her funeral in December, 2002. Rev. Andrew Young hailed her as, "one of the true courageous leaders of the civil rights movement" and said that, "All the saints that have gone to glory will be on hand to welcome her into God"s heavenly kingdom". After her funeral, a group met and decided, in her honor, and with her inspiration, that St. Augustine needed to celebrate the upcoming fortieth anniversary of the movement. 40th ACCORD was the result, and this heroic and stirring episode of our history which had so long been denigrated and swept under the rug by official St. Augustine is now recognized as the moment when events in the Ancient City most influenced the rest of the country and inspired the world. We honor the heroes of that time, Henry and Katherine Twine prominent among them. Their names will be remembered down through the centuries.